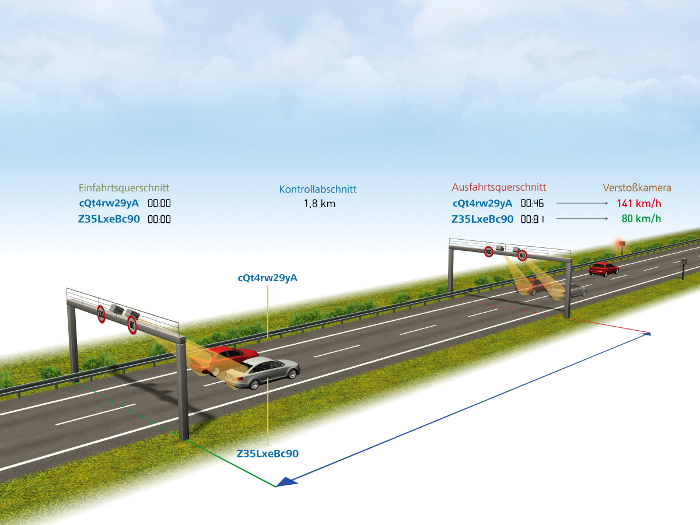 Jenoptik is the first company in Germany to receive type approval for an average speed control system, with full operation of the company’s TraffiSection equipment starting in an 18-month pilot project in the Lower Saxony region. Following the type approval issued by the German homologation authority PTB (Physikalisch-Technische Bundesanstalt), average speed control has gone into operation in the federal state of Lower Saxony. After a short test phase, the full-scale pilot period will begin in mid-January 2019, during which any speed violations by drivers will be punished with fines. 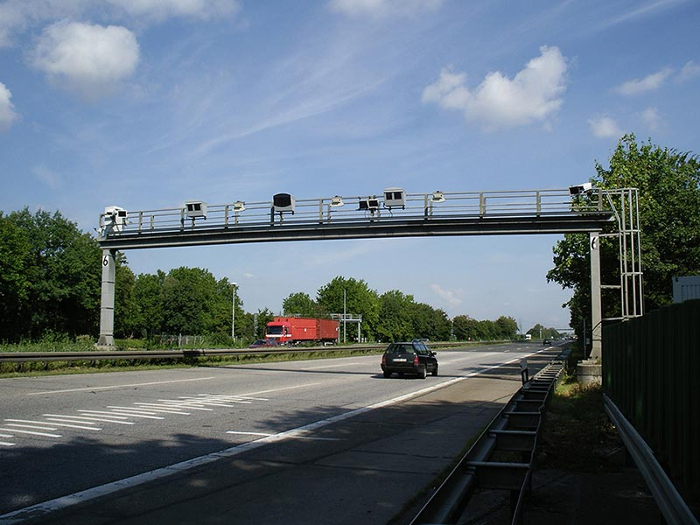 The project is being run by the Ministry of the Interior of Lower Saxony, and Jenoptik has supported the scheme with a measurement system from its TraffiSection product range. The system was originally installed on part of Federal Highway 6 south of Hanover in 2015 to monitor traffic speeds on a section of the route just 1.4 miles (2.2km) in length between the municipalities of Gleidingen and Laatzen. The PTB homologation authority issued the type approval certificate for the TraffiSection system after thorough examination and testing during November, and the Lower Saxony measurement and calibration authority subsequently calibrated the system. Section speed control starts as soon as a vehicle enters the relevant section with cameras reading the vehicle’s license plate at both the entry and exit points. If an average speed over the section exceeds the maximum permitted, the TraffiSection system automatically classifies the vehicle and records all data relevant for prosecuting the violation. Jenoptik’s laser scanner-based technology for section speed control has already contributed to increase traffic safety in other countries. It has been used successfully for several years in Austria and Switzerland, and will also be used for average speed control on one of the world’s longest sea bridges in Kuwait. 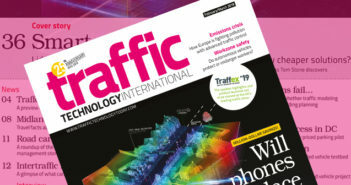 Average speed control using TraffiSection technology offers significant advantages for modern traffic monitoring schemes to achieve increased road safety. 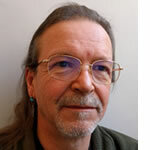 Adherence to the speed limit can be monitored more effectively and cost efficiently as only one system is required for long stretches of highway, and drivers tend to keep to the prescribed speed limit over the route. This also harmonizes traffic flow, preventing jams from forming as a result of vehicles speeding up then braking in the vicinity of static cameras. Due to the modular structure of this concept, the TraffiSection system is suitable for both stationary, longer-term applications such as in tunnels, and mobile, short-duration use at construction zones. Jenoptik also offers ‘multi-section’ solutions for complex stretches of highway with a number of intersections and turn-offs. 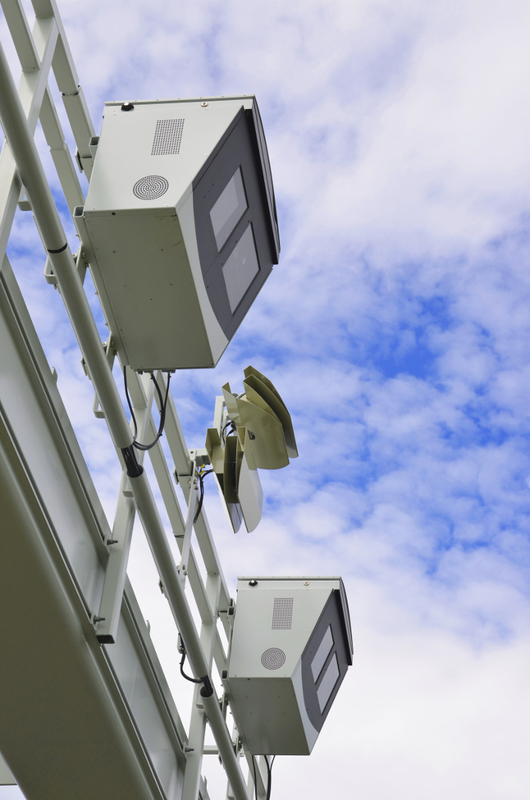 “We are very proud to be among the pioneers for a new measuring system in traffic enforcement in Germany following the national approval of our section speed-control system,” said Jenoptik’s president and CEO, Stefan Traeger.